Greetings to all and welcome to the internet home of author IA Mullin. Here you can learn more about the Redsands, home of Marilana and her friends. You can find maps and images not included in the books, read additional stories from the author, and even find where to buy these books. Additional bonuses including discussing topics with other fans, asking questions of the author and characters, and the occasional giveaway can be reached by joining the Mages of Magewood. Thank you for coming and enjoy your visit! It's here! 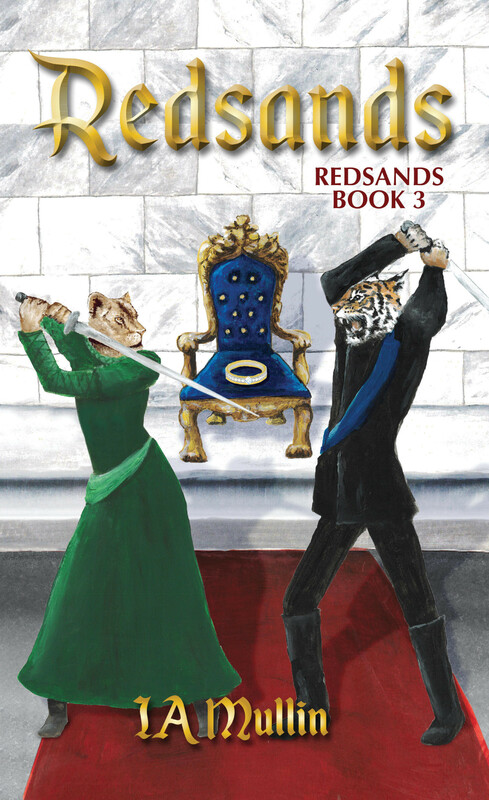 Redsands, Redsands Book 3 is finished and available December 7, 2018. Pre-order it now to get it in time for the holiday season. If you want to get a signed copy, join us at the Eaton Library January 18, 2019 from 3-5 pm. Also in honor of reaching the end of Marilana and Marquiese's journey, Mystillion ebook will be on sale for a limited time for Kindle and Nook. Thanks so much for reading and watch for new projects to come in the next few years as IA moves on to new adventures!